Things have certainly heated up between current Chelsea manager Antonio Conte and former boss Jose Mourinho, and it will be interesting to see who takes the upper hand when both their sides clash on November 5 at Stamford Bridge. Mourinho appeared to take a thinly-veiled dig at Conte after his side’s 1-0 win against Benfica in the UEFA Champions League last night, by saying he wouldn’t ‘cry’ about injuries like some other managers. 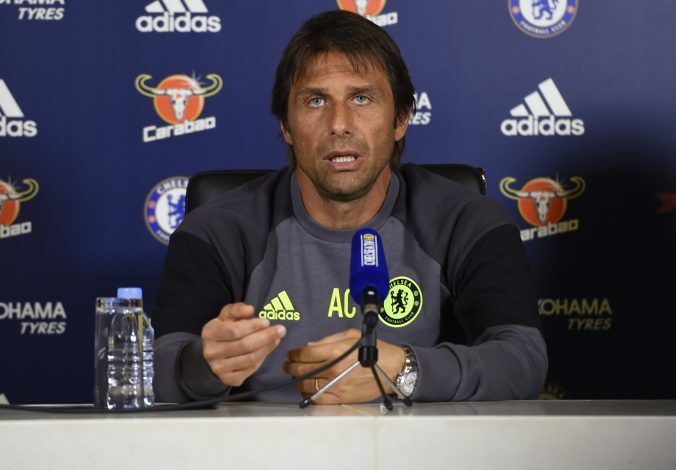 The Portuguese didn’t specify that he was talking about the Italian, but Conte certainly has bemoaned the losses of Alvaro Morata, Victor Moses, Danny Drinkwater, and N’Golo Kante to injuries. The ex-Juve boss was quick to react to Mourinho’s comments after his side’s 3-3 draw at home against Roma, urging the former Chelsea manager to stop talking about the Blues, and focus on his side. Chelsea surrendered a two-goal lead against a mighty Roma, earned through strikes from David Luiz and Eden Hazard, to trail 3-2 with 20 minutes remaining. Conte, who used Luiz in midfield, admitted his tactics contributed to Chelsea being second best. When the Brazilian went off for Pedro, Chelsea reverted to their usual 3-4-3 formation. “I didn’t like the type of football we did for a lot of the game, but it’s right to take the responsibility for this,” Conte said. “I tried on one hand to protect my team, to become more solid and to move our central defender into midfield. David Luiz, Gary Cahill and Tiémoué Bakayoko all ended the Roma draw carrying new knocks too, with Conte admitting his team are now in “an emergency situation”.